Favorite fountain pen and ink… that’s hard! How about favorite of the moment? My vintage Pelikan M120 with good old Hero black ink. It just looks and feels timeless. Thank you for doing this giveaway! And thank you for HOTP! Hmmm…. Fav ink and pen; that is hard to narrow down. I find myself using my F-C P66 daily. The size fits my hand perfectly, and the Masuyama MCI nib has just the right amount of feedback for me. It was my first F-C pen. As for ink, I consistantly go back to F-C Spanish Blue. Different enough that it isn’t your typical pen blue, but not to crazy that I can’t use it for work. If I had to pick my favorite pen and leave all the rest behind? Tough question, but I guess it would be my Lamy 2000. It was my grail pen for over a decade, and when I finally got it it did not disappoint. Ink? I’ve fallen for Noodler’s General of the Armies. Beautiful green. I mean, blue. Wait, green – no, blue. Favorite fountain pen and ink pairing at the moment is my TWSBI Eco 1.1 stub with Iroshizuku Kon Peki. The stub is a smooth writer and I just love watching the blue in the demonstrator body. Lately, my favorite fountain pen has been my Franklin-Christoph Model 20 with a medium SIG nib. So smooth, and so much fun to write with. 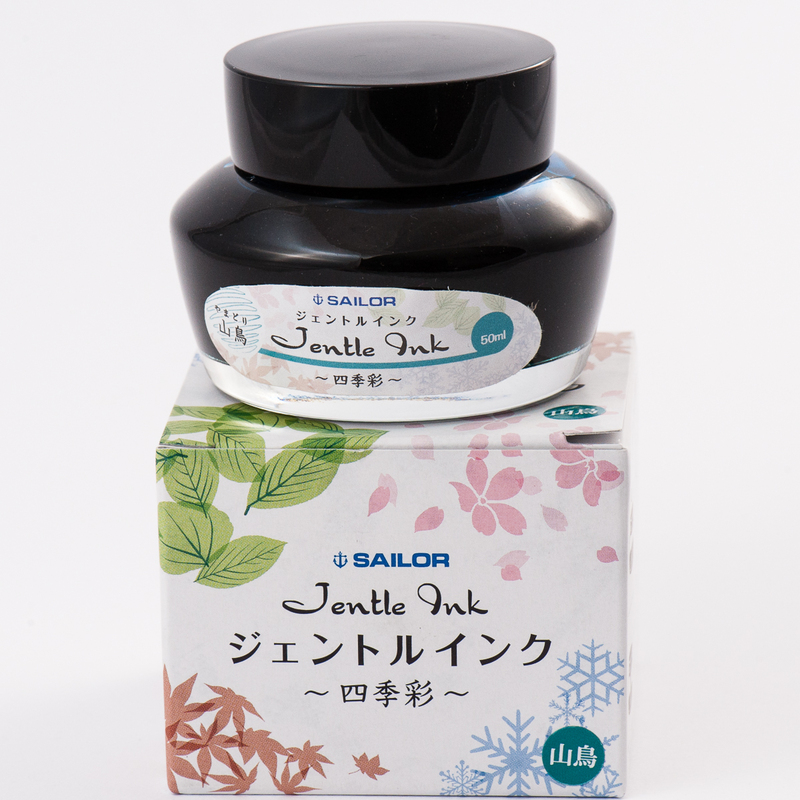 And my old standby ink for use anywhere for anything is Sailor Jentle Miruai. This black-with-green-undertones works for everything I’ve thrown at it. My newest and best pairing: Pelikan m600 (red stripes) with Sailor Oku Yama! Hello! Thanks for the giveaway. My favourite current combo is my Pilot Custom Heritage 91 with Diamine Asa Blue. What a lovely giveaway! My current favorite pen is my Kara’s Decograph and it’s filled with Pilot Iroshizuku Yama Budo. Love that purple and sheen. Happy FPD! I’m a lush for great shading and smooth nibs. My favorite ink is Noodler’s Apache Sunset with a Faber-Castell Loom(matte grey). My favorite fountain pen is my pilot prera F! And my favorite ink is always always always Noodler’s Blue Nose Bear. Thanks for this great giveaway! My current favorite combo is a TWSBI 580 with Diamine Autumn Oak. Of the inks I’ve tried so far, my favorite is Diamine Ancient Copper due to its earthy, old color and its lovely shading. At the moment I have it in a Laban Don Quixote pen (in fine) that is my favorite because I received it as a gift from my grandparents. The ink matches the pen reasonably (a darker brown would probably match better), but I suspect a wider nib would show off the ink more. Happy fountain pen day! My current favorite pen and ink is my purple TWSBI 580AL with GvFC Violet Blue ink! Happy fountain pen day and thanks for doing this! My favourite pen is a Franklin-Christoph pocket 20 with a broad SIG nib, and my current favourite ink is Diamine Wagner. Can’t wait to try them together. I’m new to the world of fountain pens and only own 2 Pilot Metropolitan pens; however, I love them! For ink, I like using J. Herbin Amethyst de l’Oural! My favorite pen is always changing, but right now it’s probably one of my Estie Js with a 9968 nib. My favorite ink is probably vintage Waterman South Sea Blue. Thanks for the giveaway! My favorite pen will always be the first pen I bought myself after I graduated college, an ST Dupont Fidelio, in Blue Nuit. And right now my favorite ink is Bungbox Piano Mahogany. My Lamy Accent with Diamine Syrah has been my favorite pairing so far, but the TWSBI Eco with Diamine Oxblood has been treating me well recently. Diamine Green Black and a Pilot decimo EF is my favourite pairing. That Prera is sweet! Favourite ink is diamine golden brown, I don’t even have to think about that. The pen is a bit harder, but I use my pilot penmanship more than any other. My current favorite pairing is my black TWSBI Eco with JHerbin Amethyste de l’Oural. Beautiful! I have many favorite pens, but for the sake of this blog, I will say, Parker Duofold Centennial. And as for ink, I like Kon-Peki. My favorite pen is the Pilot Long Murex, and my favorite ink is Waterman Inspired Blue. Thanks for the giveaway, and here’s to another year of fountain pen madness. Favorite ink: Blue Manhattan, a Noodler’s ink exclusive to Fountain Pen Hospital. I love it because a friend got it for me as a gift when he was in NYC. Gifts are always the best. Favorite pen: My next one. This is impossible. Right this minute, I love the Diamine Sunset in my Lamy AL-star Pacific a lot because they go so well together and the sunset ink is really Halloweeny. My favourite pen is the TWSBI Eco in white with Diamine Ancient Copper! I like the pen because it offers a functional and aesthetically pleasing design at a low price. The ink’s been my favourite for a long time now, and I love its vivid colour and beautiful reddish tones. I’ve been longing for a Prera for some time now. Thanks for the giveaway! Diamine Autumn Oak in TWSBI Eco turquoise. Lots of fun shading and a smooth writing experience. 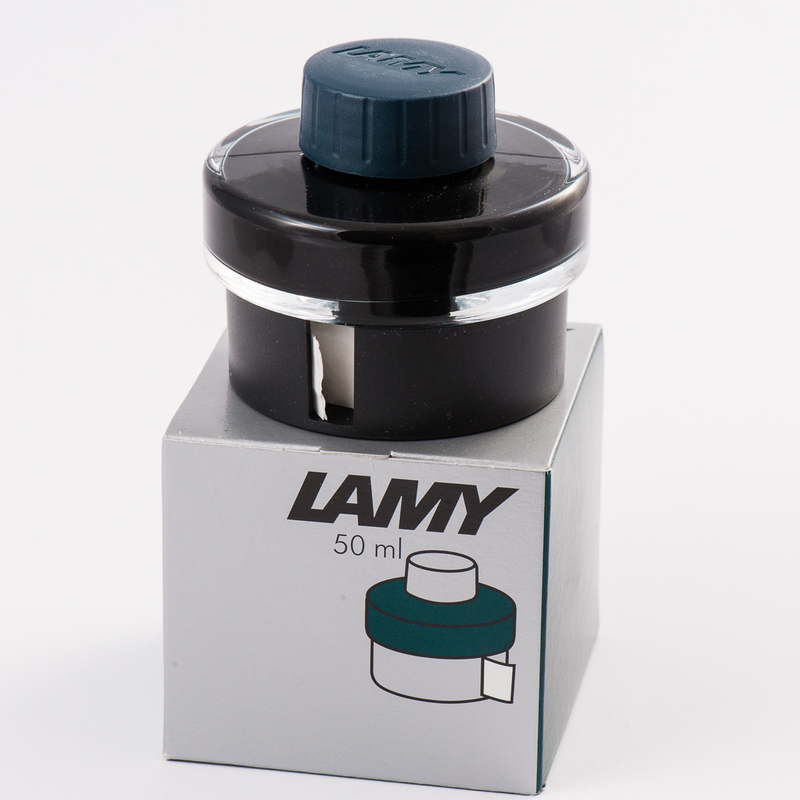 Favorite for now Lamy Dialog 3, Shocking Blue #5 Ackerman. Happy Fountain Pen Day! Presently, my favorite fountain pen is the Ensso Piuma, and my favorite ink is the Monteverde California Teal. Somehow, I always have a TWSBI Eco with a medium nib size filled with Diamine Roman Bronze Oxidation. I’ve been pleasantly impressed by my humble Pilot Kakuno with Noodler’s Lexington Grey. Daily pen combo! Also, Happy Fountain Pen Day everyone! My favorite pen is an orange Conklin duragraph and I put Monteverde brown sugar in it. Great giveaway! I love my Daiso FP with Pelikan Sapphire! Thanks a lot for the giveaway! My favourite pairing is my Conid Minimalistica demonstrator and Diamine Asa Blue. Thank you for the giveaway! You guys are awesome! Fave for the moment, as it’s my EDC, Platinum Preppy in EF/0.2, inked with Noodler’s X-Feather. My favorite pen and ink combination is still my first combination, Diamine Grey and the Muji Aluminum fountain pen. Love the industrial feel of that pen and the grey ink is perfect for taking notes. Nice give away! Favorite pen at the moment is Franklin Christoph Model 19, and my go to ink is Diamine Oxblood. 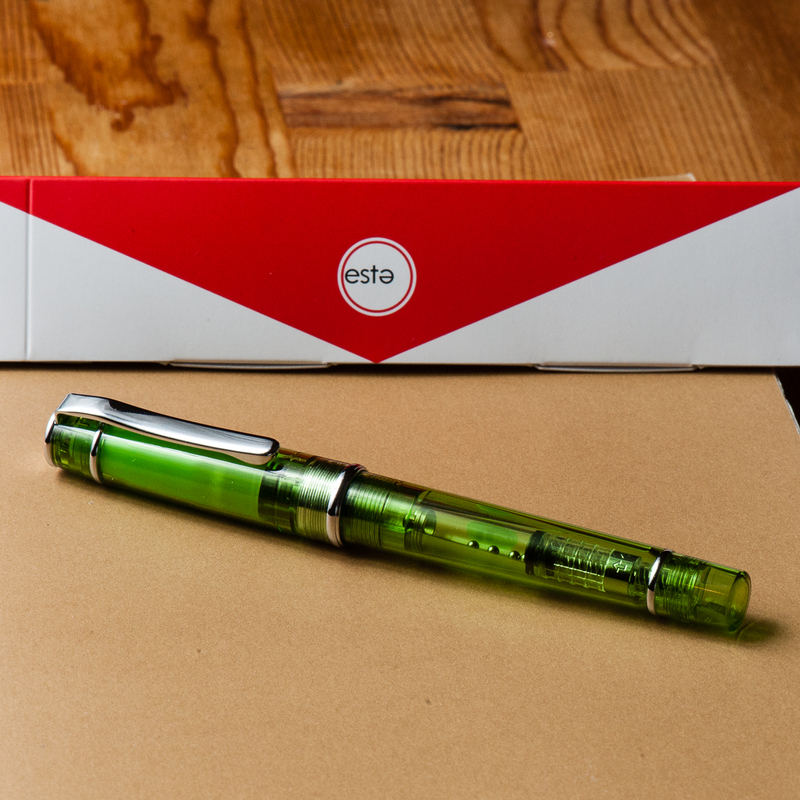 Favorite pen is my Omas Paragon Arco in green and favorite ink is anything Robert Oster! Burgundy Sheaffer PFM I, and waterman inspired blue! I’ll go with a Lamy 99/36 OM. It’s got that almost-stubbish character I love. Black resin and gold trim bore me but the nib comes first. Favourite ink? Tough question! Today, it’s Diamine Asa Blue. Love the blog’s hand size perspective! My favourite Fp is Pilot 78g. Lamy 2000 and, even though I can’t find a reason to use it most of the time, J. Herbin Poussière de Lune. I love my Lamy Al-Star Charged Green with Iroshizuku Chiku-Rin — I’ve now inked it up 3 times with this ink! Ohhhh my gosh what an amazing giveaway! My favorite pen (right now) is my Franklin-Christoph p66 in Italian Ice with a Masuyama Medium stub and inked with Robert Oster Purple Rock. Great Giveaway! Thank you for the giveaway! My favorite pen so far is my Pelikan M600, and my favorite ink is probably Diamine Terracotta. Looks like a stellar giveaway. I’d have to go with my Pelikan M400 Brown Tortoiseshell with Robert Oster Fire and Ice. Thank you for the giveaway! My favourite pen is my Nemosine Singularity Aqua demonstrator with the 0.6 nib. Favourite ink is Noodler’s Inks Black Swan in Australian Roses. I am loving my TWSBI Eco EF with Lamy Dark Lilac. Right now my favorite would be Pelican smoky quartz pen and ink! I’m a fan of Diamine Night Sky and I love my TWSBI Eco! My favorite pen is my Lamy Vista with an M nib. As for favorite ink, that’s currently Robert Oster Bondi Blue. Out of the three pens that I own, my current favourite is the brandless one that I got from our local Daiso. Writes smoothly (despite being on the wet side), and the ease of writing was what pleasantly surprised me into venturing into fountain pens. Since I’m just getting back into the fountain pen hobby again I don’t have too many pens to choose from. I am quite fond of my Noodler’s Ahab White Pearl which is inked up with Iroshizuku Yama-Budo. That Yama-Budo is gorgeous!